The ms Maasdam which is operated by Holland America Line has had an engine failure while departing Boston on 4th of July. According to passengers onboard who were posting to the Cruise Critic message boards the 55,450 gross ton vessel had issues with the propulsion. A brief power failure then occurred moments after departing the dock in Boston Harbor on Saturday evening. 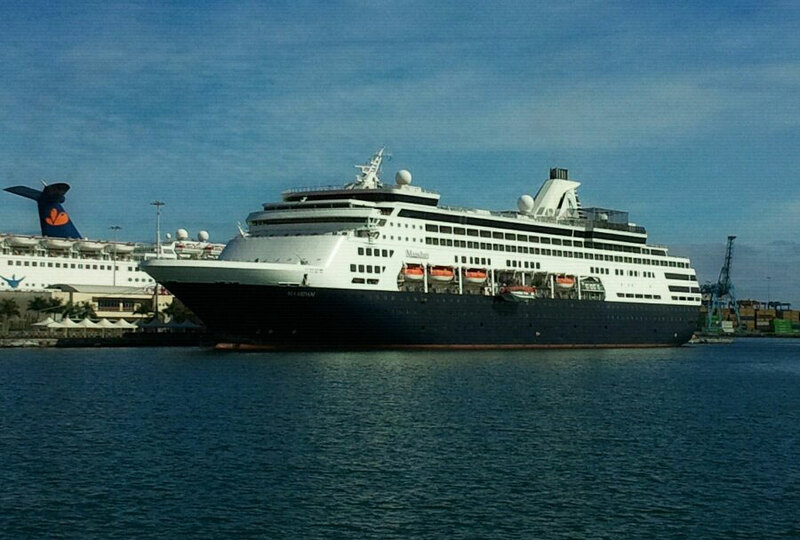 Holland America have confirmed there were “technical challenges with the engineering plant”. The ship has been out of action anchored in the port so it can be fixed. Shortly after departure on the July 4 sailing of ms Maasdam’s Boston to Montreal Canada/New England cruise, the ship experienced technical challenges with the engineering plant. The ship was anchored to allow for identification of the issue, which has now been completed. We anticipate sailing this afternoon for Halifax following the required approvals from the Coast Guard and our classification society, Lloyd’s Register. Regrettably the port of call to Bar Harbor will be cancelled. Should any further adjustments to the itinerary be required they will be communicated to guests onboard. All hotel services onboard are fully operational for guest services and the ship is completely safe. At Holland America Line the safety of our guests and crew is our top priority. Guests onboard have posted on social media that a port tug boat came alongside the ship where engineers then boarded. Guests onboard expecting to already be out at sea and heading towards the first port of call got entertained with the 4th of July (Independence Day) fireworks that where let loose above Boston. This afternoon (Sunday July 5th) the ms Massdam is still anchored in Boston Harbor with engineers still continuing to fix the propulsion issues. ms Maasdam will be all set to depart this afternoon. The ms Massdam was originally scheduled to depart Boston at 4 PM for a 7 Day Canada & New England Discovery cruise but now due to the engine failure a revised itinerary is expected. The ships was scheduled to arrive at Bar Harbor in Maine today which has now been cancelled. Maasdam will sail straight for Halifax, Nova Scotia with an arrival tomorrow, July 6th.